There are a lot of people that get angry so easily because of unimportant thing, especially about the game. Racism, mock each other, looking down at each other its like common things that player usually do. That’s why a lot of parents forbid their children to play an online game such as Mobile Legends, Heroes Evolved, dota 2, Lol and much more. That’s why to prevent the growth of parasite people in this game. I will try to give a few Heroes Evolved tricks to play one of the agilest heroes in this game. So, are you curious? Check out my review below. Mid Marksman or MM is the most beneficial place, whether it is from experience benefit or gold benefit. However, with the incorrect hero, this place could be dangerous. That’s why we need an agile hero that can give a quick help to help ganking mid enemy. 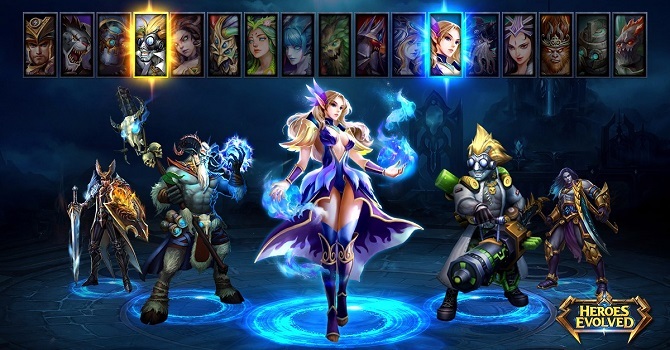 I already tell you in my previous heroes evolved review or in my Mobile Legends review that teamwork is the most deadly weapon that you can use to counter enemies team easily. However, to build a great teamwork is quite hard especially if you never know about their gameplay. But for me, it’s a new challenge and I love a challenge! There are a lot of player in Heroes Evolved that interested in playing as MM role hero. However, there are not so many good players that can carry their whole team as MM player. Even though they already follow up the build that provided by Heroes Evolved game. Well, this also can be the result of their knowledge in Heroes Evolved tips, maybe? 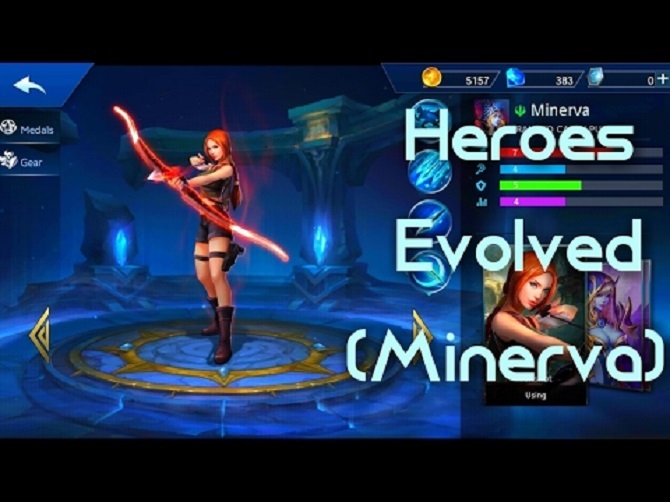 That’s why this day, I want to give you my best item build and Heroes Evolved tricks to play Minerva to you. So, are you curious? Check it out, dude! Who says that Minerva is a slow runner? Minerva is equipped with a skill that also grants her bonus movement speed and with this boots you will never ever been left behind anymore! Think that you are too fragile in mid lane? You can try to build up this item. Why? Because this item will grant you bonus damage from its bonus 30 points agility status, this item also grants a dodge chance and 10% movement speed. Your enemies will never be able to chase you now! This item will grant you one illusion that will deal 30% of your damage. Well, this item can be a great company for this lonely traveler. Do you think you are still low on damage? Do you die because your enemy can fight you back because they have mana left? Or do they are fleeing by stunning you with their skill? If that is your problem, I think this item is the best solution for you! Why? Because this item will grants you a passive ability to turn your enemies MP that will leave them unable to fight back and become your weak target! I hope my article today about Heroes Evolved tricks is useful for you. Don’t forget to share and leave a comment on the comment box below and let me know about your opinion. I hope we will meet again in my next article, see you and have a nice day dude.